These versatile pens include a standard blue ink ballpen combined with a rubberised stylus touch pen. They are crafted in lightweight aluminum with a silver colour finish with polished silver colour fittings, including a pocket clip. 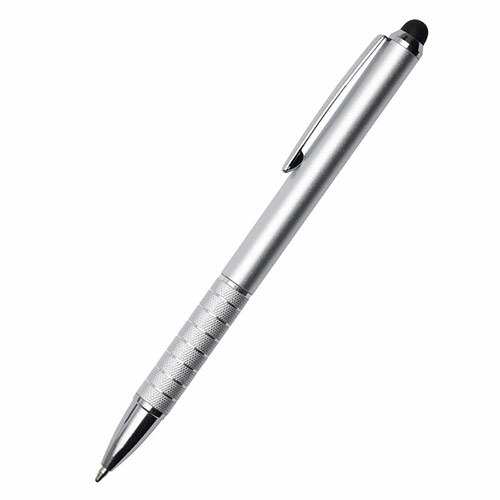 They can be branded via laser engraving on the body of the pen. Perfect for promotions or as corporate pens, each item is supplied in a polybag.